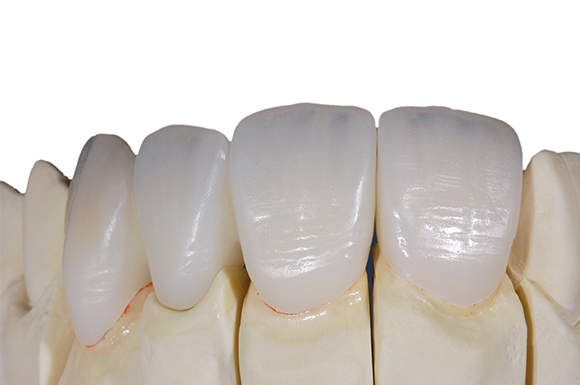 The Oral-Press™ system uses a smooth glass ceramic that is thermo-pressed on specific alloys over metal copings and bridge frameworks. The system also gives a very precise marginal fit and is stronger than other alternatives. Oral-Press™ greatly improves the aesthetics of porcelain fused to metal restorations by eliminating dark gray shadow at the gingival level. Its ceramic is also kind to natural enamel and gingival tissue. The result is unrivalled patient satisfaction.